Jackie French AM is an award-winning writer, wombat negotiator, the 2014–2015 Australian Children's Laureate and the 2015 Senior Australian of the Year. In 2016 Jackie became a Member of the Order of Australia for her contribution to children's literature and her advocacy for youth literacy. 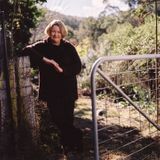 She is regarded as one of Australia's most popular children's authors and writes across all genres — from picture books, history, fantasy, ecology and sci-fi to her much loved historical fiction for a variety of age groups. ‘Share a Story' was the primary philosophy behind Jackie's two-year term as Laureate.